Not only did THQ give us the displeasure of one bad Swamp Thing game, they decided to vomit another game based on the character for the Game Boy, courtesy of the developer of The Flash for the handheld, Equilibrium. The best thing that can be said about Swamp Thing on the Game Boy is that it isn’t as expensive as the NES game by a wide margin. 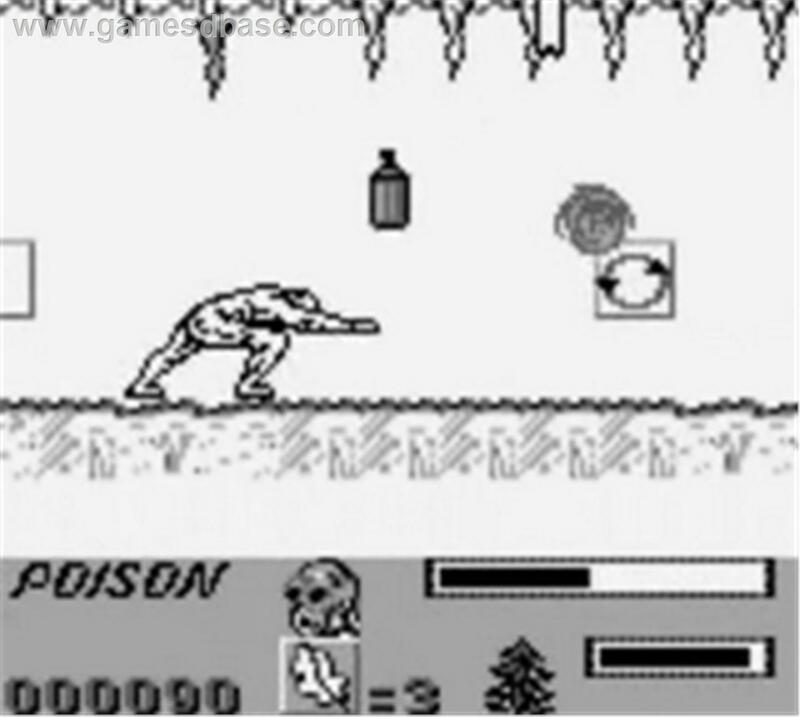 Swamp Thing on the Game Boy shares the same story as the game on the NES, but it’s structure is different from that game. 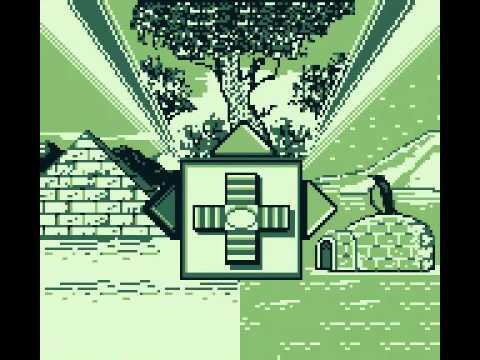 On the NES you played level-to-level but on the Game Boy you have a stage select where you can pick from things like an ice level and an Egyptian themed stage. In this regard, the Game Boy version may have a slight edge over the NES game in that you can see all the levels without having to slog through them one-by-one, but the mechanics that made the NES game such an abomination present themselves here, along with some completely new ones. Exactly like the NES game, the title character moves too slow and hitting anything with your punch or collected projectile weapon is a thing of luck over skill. It seems that developer Equilibrium also looked at the home game and said “hey, where’s the unfair time limit?” and proceeded to add one in to this game. I tried on numerous occasions to at least finish one level here, as I was able to beat two in the NES game, but always ran out of time trying to make some impossible jump and missing. On top of the already under cooked mechanics and the time limit, this package also throws in items that poison Swamp Thing and reduce his health. Really, what did THQ have against Swamp Thing? At least in the case of The Flash from Equilibrium it had passwords that allowed you to pick up where you left off , but similar to the NES version of Swamp Thing, this game has zero redeemable qualities save the fact that you can select the order of stages you won’t be able to finish. 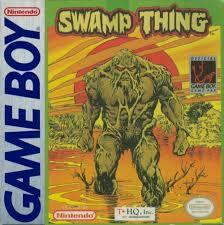 I’m not sure how you would turn Swamp Thing into a video game, but with this and the game in the NES, THQ has shown me why no one has tried in close to twenty-two years. 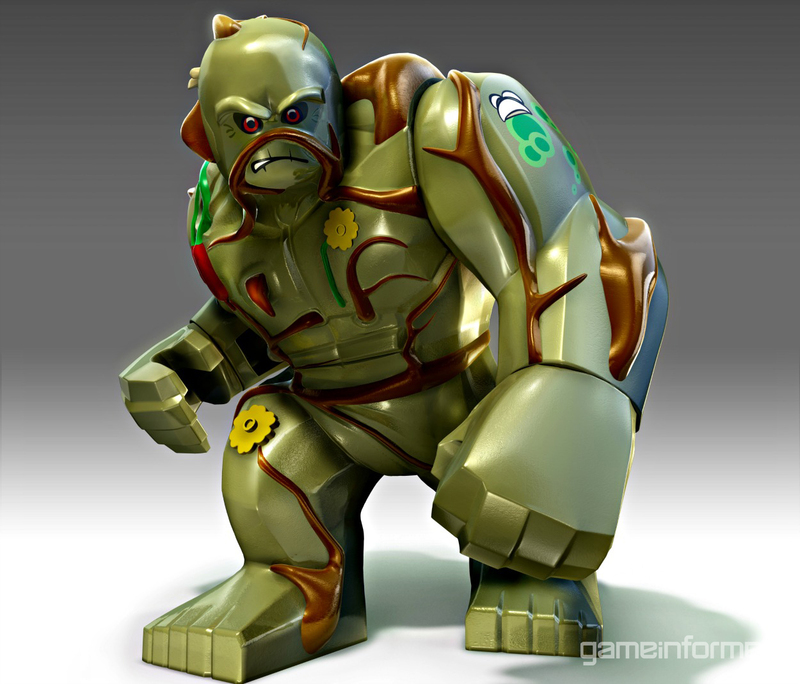 Hey, at least he’s going to be in Lego Batman 3, right?